I'm sure that when I first signed on here last year many of you got a good laugh, or even rolled your eyes at the noob. Maybe you thought that I was destined to end up on the asphalt as a decoration for a second time. If so, you're absolutely correct. I did, and with it, I sold my bike for dirt cheap, and walked away in tears. First, I wasn't prepared in the least. I learned that all machines are not equal, and mistakes can cost you everything. I should have done my homework before I bought the bike. I needed training, and I rushed the process. My second mistake was in accepting bad advice. Many had no idea what they were talking about, and with zero support from my family, they just wanted the bike gone. I listened to all the wrong people, trying to do the right thing. 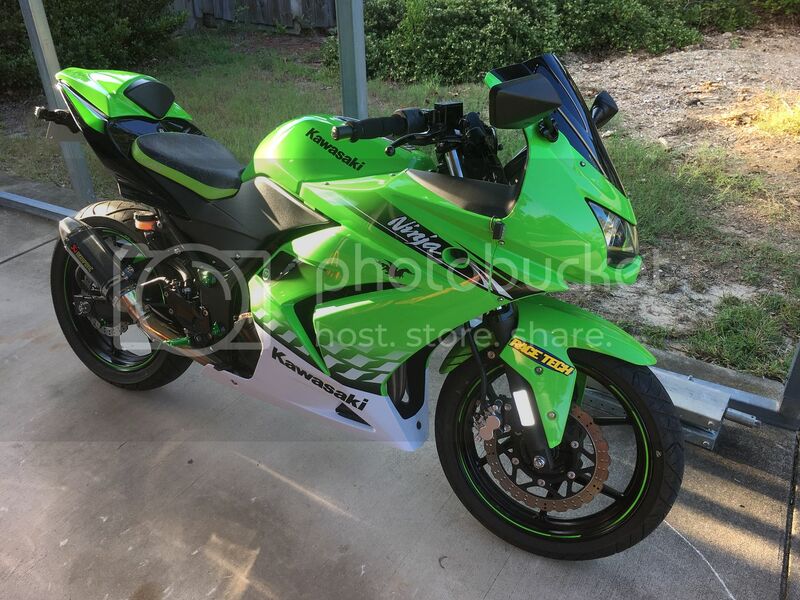 My last mistake was selling the bike. I had been taken advantage of from day one by the seller, and it needed some work, but covering it and allowing it to sit in my driveway would have been the best thing to do. I sold it on an impulse, because I was hurt. I am passionate about riding, and I just caved in to all the pressure. Moving forward, I realize that I learned to ride the wrong way. As an Autistic person, I tend to take everything personally, and often find it difficult to succeed because I have failed at things so many times in my life. With riding, I found something that I could focus on, and invest in, and be proud of. I plan to buy another bike this summer, and it will be another 250. I want exactly what I had, and this time, all the failures and injuries won't be for nothing. Thanks to those of you here on this site who reached out and tried to help me. We may never meet in person, but I'm grateful to you just the same. Like the saying goes: “You live and you learn”. I'm glad you're not discouraged about riding and have come away smarter and ready for your next round. Life is a long journey, don't let one stumble stop you move moving forward. Be sure to post photos of what ya get! A story that has been told many times before you. Soo... I hear you, but what are you doing differently this time? If you haven't started already you are LATE! 1. Start getting your gear in order. Keep an eye out for sales as the riding season gets even closer. Do not skimp here. 2. If you haven't already, get enrolled in a BRC course. They fill up fast, so you need to get on their schedule now. 3. Find a couple of well experienced riders and make a good friends of them. Not some goofballs that goes 100+ on the highway and whoolies in the back parking lot. They normally are the quiet ones, many times by themselves. Have them help you over the first humps. Good luck, don't sweat the small stuff and celebrate even the smallest victory! Last futzed with by csmith12; February 12th, 2019 at 03:30 PM. Mike, I applaud you for such insightful introspection. Recognizing that you're learning is great step towards progress! Another thing to keep in mind is that there's no "place" you're trying to reach. Life is endless continuum of greys. I had been riding for 40yrs before I got serious about track-racing. Boy, did I have lots to learn. And I'm still learning and improving! Don't worry about being "perfect", there's no such thing! Don't be hard on yourself. Just set intermediate baby-steps that can be achieved and pat yourself on back each time you reach another milestone! Good luck, don't sweat the small stuff and celibate even the smallest victory! Excellent reflection Mike. It shows that you have given considerable thought to the past choices you made and are willing to learn from your mistakes and move forward. I'm glad you are open to riding again and in having a plan to help you improve your riding. I offer myself here to you for any questions you may have on riding skills and techniques. I've been coaching with the California Superbike School for 15 years now, I write for several motorcycle publications and am a former AMA Pro Roadracer. You said that you had received bad advice in the past and are looking for some better advice so please, feel free to ask me any questions. May I also suggest looking into taking one of our riding schools, you can find out more information at www.superbikeschool.com as it is a perfect place to practice and hone your riding skills with professional coaches that are passionate about their job. I'd also like to pass on this website. https://www.racingwithautism.com. I met Austin at a local race track here in Vancouver, BC and he was such can incredible young man that made a huge impact on me. I love spreading the word about him and his successes in driving.